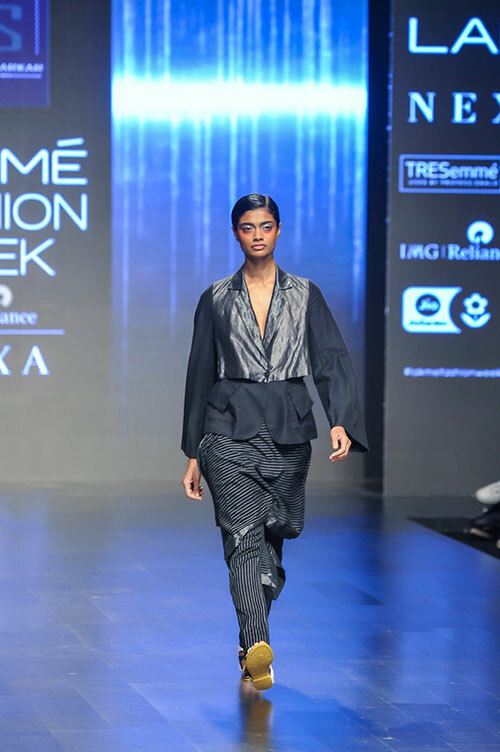 With every showcase, designer Sayantan Sarkar is slowly carving a niche design language in the industry. 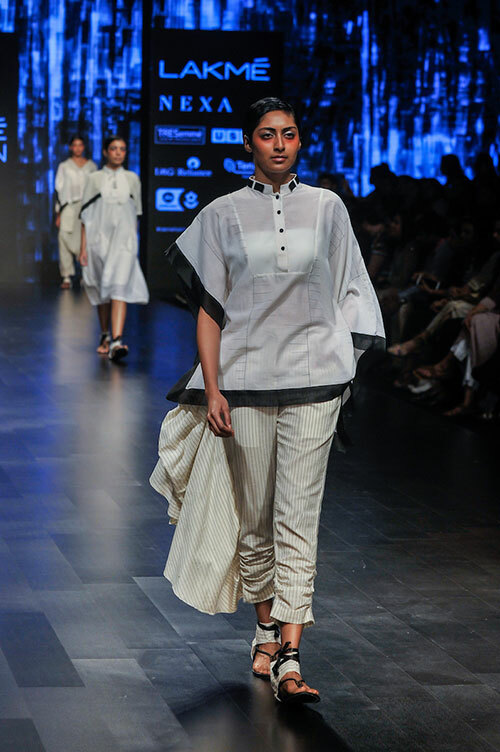 Wearable separates, handloom cottons and deconstructed details strike the perfect balance between his label’s easy-going aesthetic and sharp elegance. 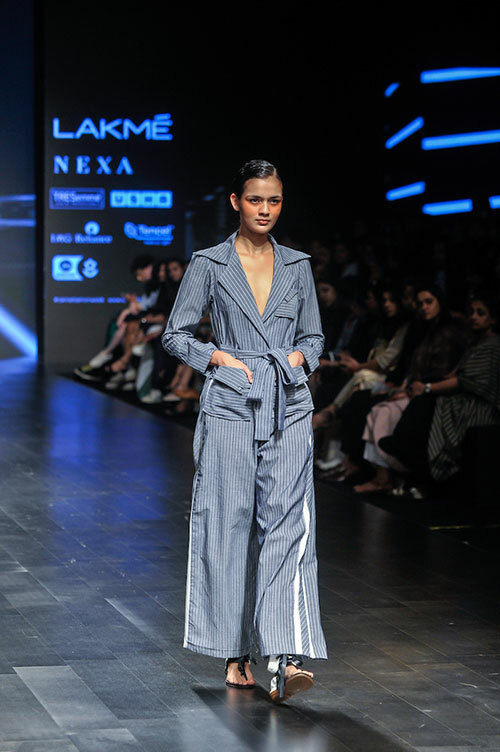 Case in point: the striped jumpsuit with visible pockets and a notched collar, which can be easily transitioned from desk to after-hours. 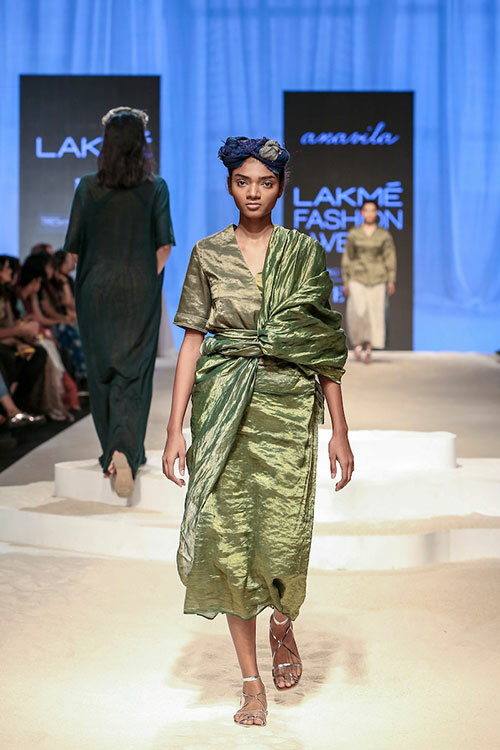 Pleated skirts, draped trousers, sheer inserts in shirts, longer tunics and pinstriped culottes in sheer organzas, basic cottons and Bengal handlooms will find a place in a working woman’s closet as well as a traveller’s wardrobe. 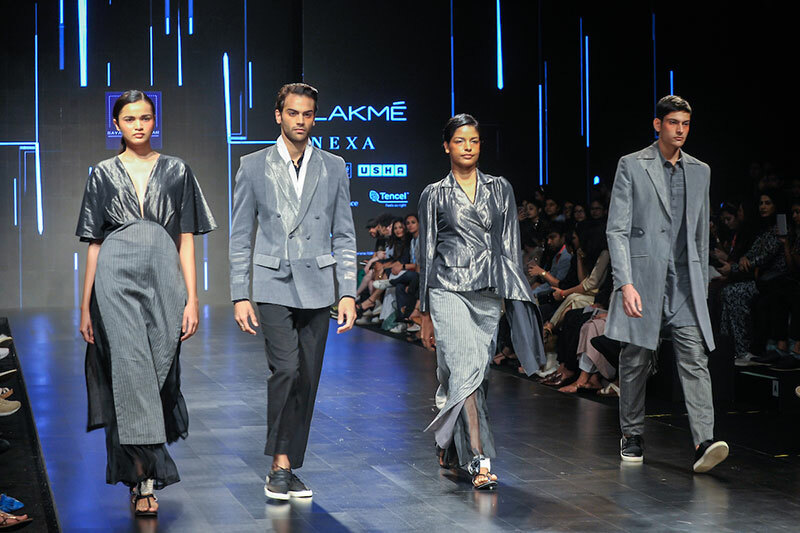 After two season of championing inclusivity on the runways, it looked like this season of Lakmé Fashion Week lacked representation. 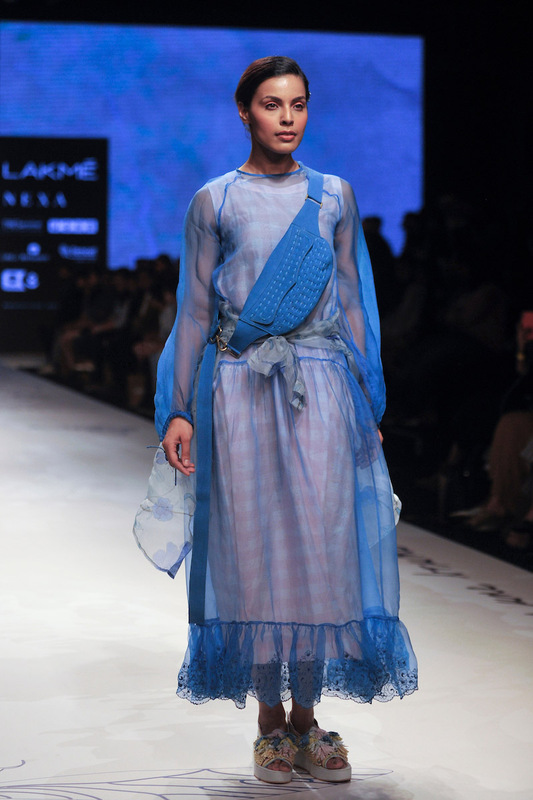 Designer Rina Singh, however, changed that when she showcased the whimsical beauty of her clothes on real women. 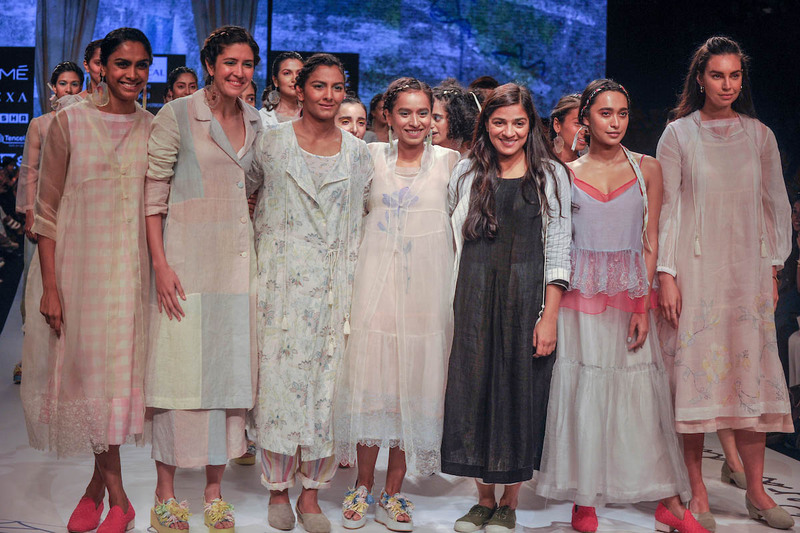 Floaty silhouettes, sheer layers over printed dresses, scalloped hems in sorbet shades looked beautifully strong when presented on the runway by Indian woman wrestler Geeta Phogat, celebrity chef Sarah Todd, track athlete Ayesha Billimoria and actor Sayani Gupta. 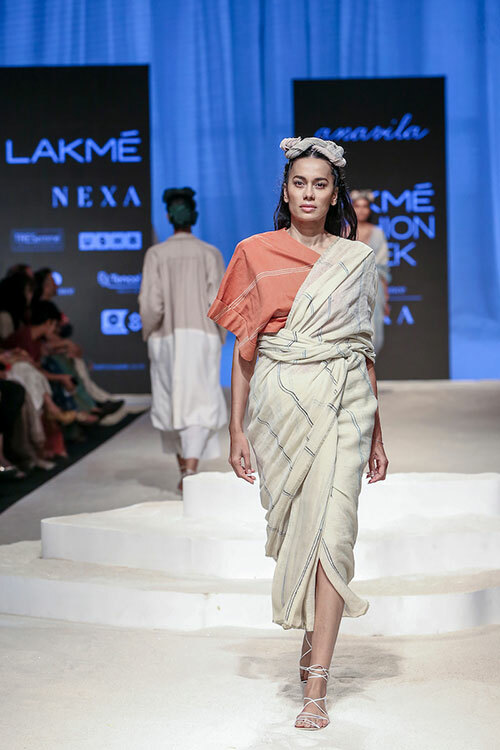 Designer Anavila Misra took the audience to a quaint coastline with sand all over the ramp as she showcased her delightful collection, inspired by the women of Sa Pa region in Vietnam. 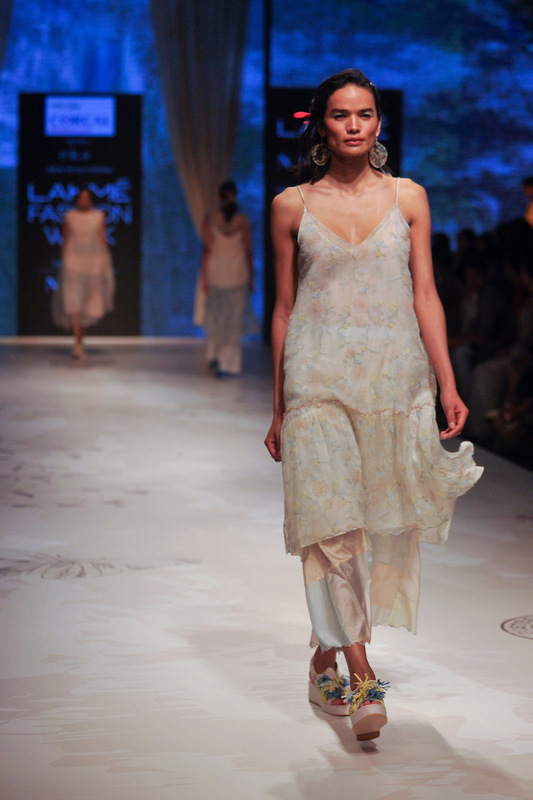 Techniques like pleating, cording, embroidery, hand batik were used on natural yarns such as cotton, linen and silk. 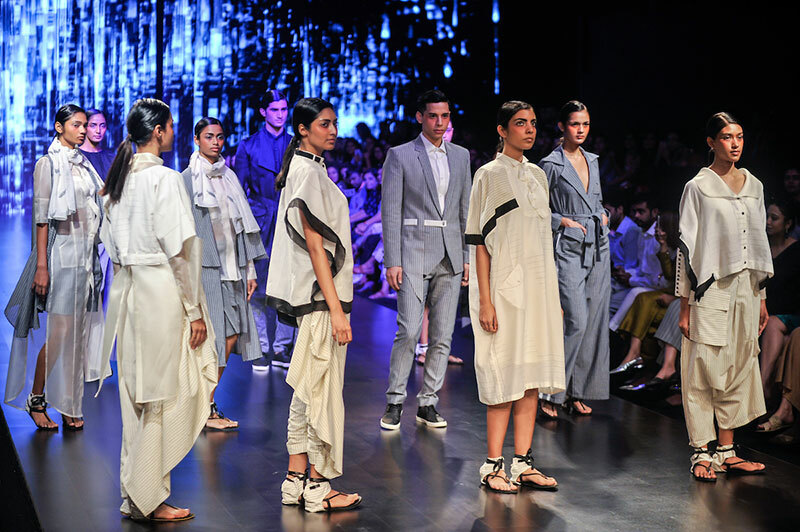 The colour palette dabbled in refreshing natural hues of whites, beige and tones of peach, leaf green, indigo and charcoal. 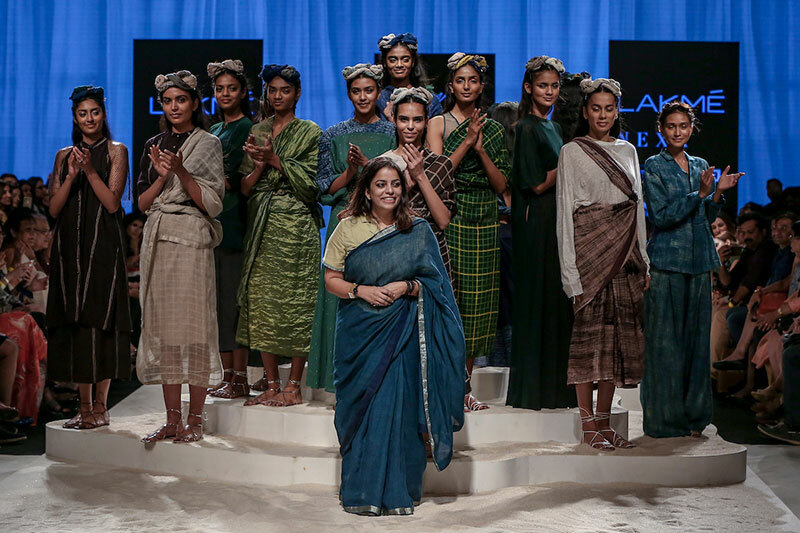 Anavila, who is renowned for her beautiful handwoven linen saris, made sure that this time the audience knows that the label offers more than just the nine-yard drape. 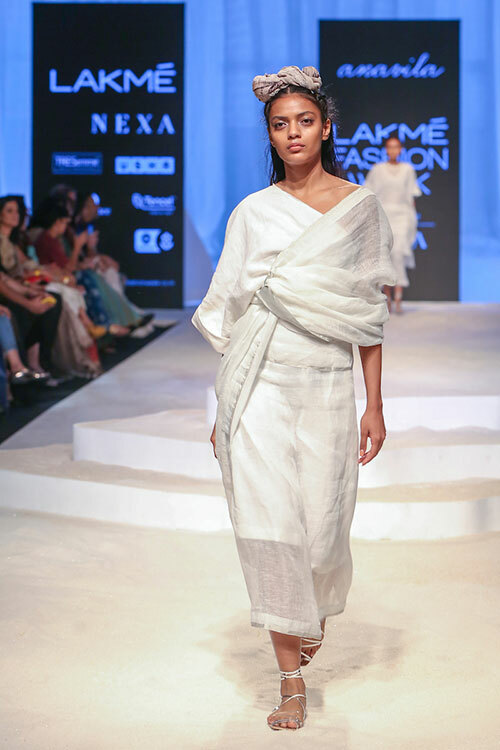 Though saris wove in and out on the ramp (with an innovative drape as styled by Nikhil D.), there were a lot of easy-breezy separates – loose pants, floor-length coats, tunics over midi skirts, long kaftans and languid maxis. 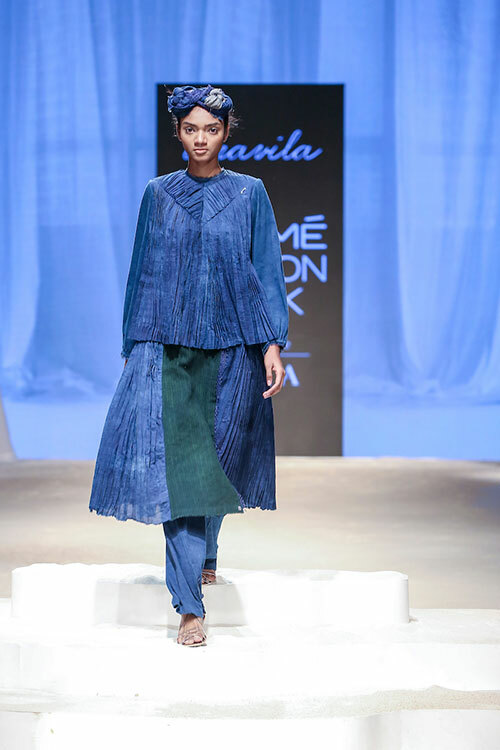 Taking more than just sun and sand from Vietnam, the designer’s collection also featured interesting sleeve details in mesh (maybe an homage to the fisherwomen of Sa Pa).